With retail drone sales expected to skyrocket this holiday season, Vancouver Airport Authority (YVR) is teaming up with aviation partners to remind amateur photographers, spies-in-training and pretty much everyone who’s added a drone to their holiday wish list, that flying unmanned aircraft near airports can be exceptionally dangerous and could pose a threat to commercial aircraft. "Innovation and safety are two of YVR's core values," said Steve Hankinson, vice president, operations, Vancouver Airport Authority. "We recognize the amazing potential for drones to improve a variety of processes, but we're asking the public to prioritize safety and never fly one near an airport." Components of YVR's public-education campaign include "No Drone Zone" signage at key locations across YVR's Sea Island home, advertising and community outreach at public events. "YVR's campaign is helping to create awareness about the very real dangers and consequences of flying a drone near an airport," said the Honourable Marc Garneau, Minister of Transport. "This holiday season, I encourage all new drone users to learn the rules of the sky on our website." 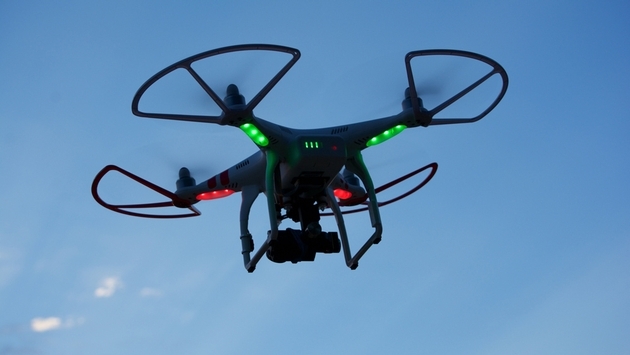 Improper drone use is on the rise in B.C. Since the beginning of 2015, nearly half of all incidents investigated by Transport Canada have been in British Columbia. "The safe operation of Remotely Piloted Aircraft Systems (RPAS), more commonly known as drones, is a community responsibility," said Cpl. Dennis Hwang, Richmond RCMP. "We have the luxury of having a world-class international airport in our community. Let's keep our community safe." • Closer than 9 km from any airport, heliport, or aerodrome. • Higher than 90 metres above the ground. • Closer than 150 metres from people, animals, buildings, structures, or vehicles. • In populated areas or near large groups of people, including sporting events, concerts, festivals, and firework shows. • Near moving vehicles, highways, bridges, busy streets or anywhere you could endanger or distract drivers. • Within restricted and controlled airspace, including near or over military bases, prisons, and forest fires. For more information on permission and safety requirements related to drone use, please refer to Transport Canada's website: www.tc.gc.ca/SafetyFirst.